Most companies with a good web marketing presence attribute most of their incoming website traffic to organic. Organic simply means people found you in the Search Engine Results Pages, commonly referred to as SERPS by SEOs. Organic traffic is free! So any way you can find to attract that traffic will pay compounding dividends. If you rank one page for a popular keyword, you can then move on to another page. 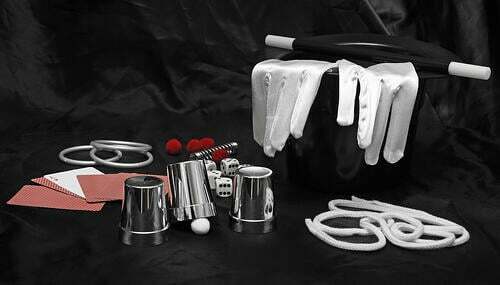 As you systematically rank pages in the SERPS, you are compounding the amount of people finding your website. But how do you do this efficiently? Let's do a little role playing to see exactly how I would go about increasing a company's website traffic through Google. My weapon of choice: the SEO blog post. The first step in increasing your organic traffic will be research. You have to understand not only your persona and their pain points, but you have to learn their language. What are they looking for and what is important to them. For luxury brands, quality will be the main attraction. So most searches will be around "best." For other brands, "cost" articles may be the most effective at reaching your audience. Find out what your target persona's pain points are, and then you will have an idea of what to target with SEO blog posts. Don't limit yourself to only talking about photography. What are all the problems and decisions brides have to make concerning their wedding? These are only a few, and I thought of many more but decided to cut back this list. But if you put your mind to it, you can come up with many, many more topics that concern brides. How does this apply to SEO? Let's pick the obvious first choice: photography. Who are the best photographers in my area? How much does a good photographer cost? What photos are most important to me? Again, you can probably discover many more questions regarding each problem, but let's take the first one and see what we can find in terms of common searches. For this, we use Google Suggest. Let's begin with the cost question, which is always a concern for brides. 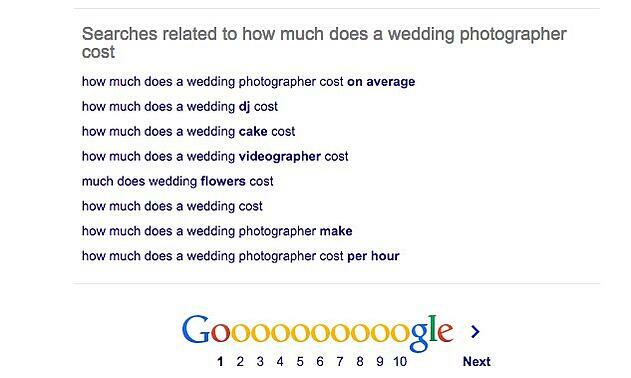 Go to Google, and start typing your search, "how much does a wedding photographer cost?" You will notice that Google suggests related searches falling into a drop down space. These are all common searches; searches others have already searched for on Google. Make a note of the exact wording of some of the questions. Then, go ahead and search. Now, scroll down to the bottom of the page and look for "related searches." There, you will find even more options for related searches. Try getting more results by switching up how you search. For instance, start over and search for "Price of wedding photographers" and see what Google suggests. If you can afford premium SEO tools in your budget, use something like AHREF's keyword tool. Just enter your search keywords and allow them to suggest relevant searches. You can get many more options than with Google Suggest although not all of them will be relevant. I explain the ideal makeup of an SEO blog post in this article. But I will briefly summarize what needs to be done in this article to make it work, rank, and also educate your ideal customers. First, make the title match the common search. Whatever is in Google Suggest, try to match it to that as closely as possible, verbatim if possible. All of the big, bold headings in this article are heading tags - beginning with the very first one, which is an H2 tag. Make these keyword rich, and also break up your article so it can be skimmed. Make sure you customize the alt text of your images. This is a little SEO tweak that will help you rank. 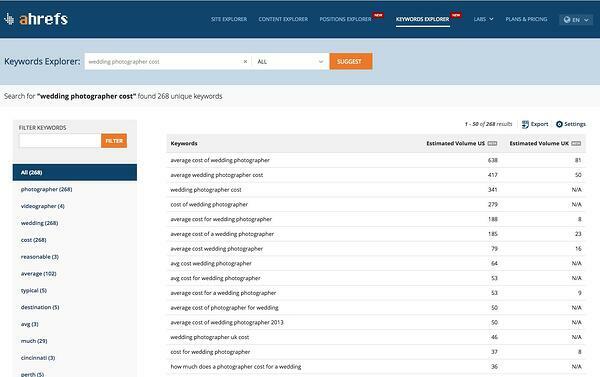 Put your keywords in the alt tag like "wedding photographer cost Seattle." "Want to know how much a wedding photographer costs in Seattle? If so, let's examine the major factors that impact the..."
The keyword phrase will be bolded in the search results. The first hint, use your keywords and variations of them throughout the body text. But do so naturally. The primary focus of this article is to answer the question as best you can. If the answer depends on something, tell them why it depends. All the SEO stuff is meant to bring them to the article. But once you get them to the article, you want to supply them with valuable information. So make sure you do your best to answer the question and satisfy the reader with the information they are looking for. For a bride, there are more questions they are going to ask. Give them an additional piece of premium content they will want to download. Offer it to them for free if they join your list. For a wedding photographer, this may be a short downloadable PDF, "The 20 Most Popular Wedding Poses of 2015." Once you capture their e-mail address, you can send them marketing information over the long term. As more brides find your site, your list will grow, and your influence and reach will expand. Even after the wedding, many brides will remain on your list. If you continue to offer great content, they will remember you when their friends are looking for a photographer. Do this with every problem, pain point, and question you can think of. As a photographer, you can become more than a photographer and answer questions regarding all of those things a bride faces. For instance, write a post about the best wedding venues in the Seattle area. Write an article about the best locations for engagement photos in Seattle. Write an article about the best wedding transportation companies in Seattle. In a nutshell - be a resource the bride appreciates and help them find answers to all of their questions. If a bride feels like you helped them find the best transportation and venue, who do you think has the upper hand on being the photographer of choice? Be helpful, and your web traffic will grow; as will your client roster.